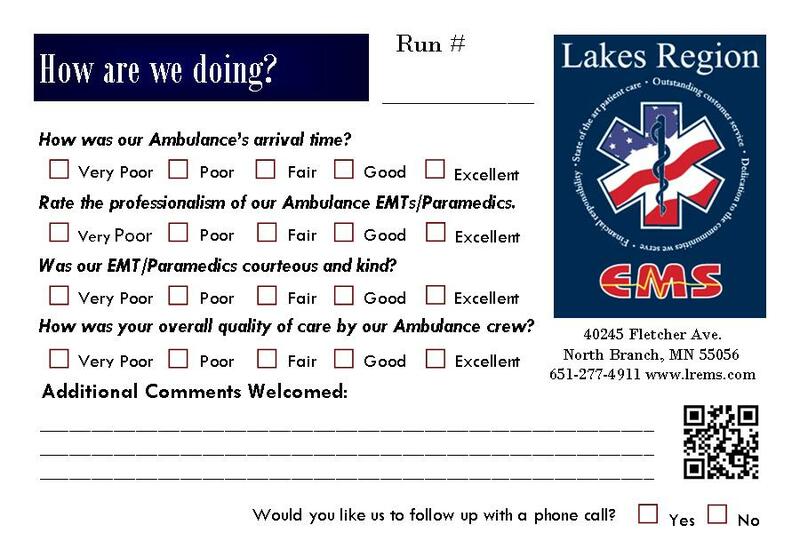 At Lakes Region EMS, we pride ourselves on providing quality interactions within our communities. If you have had an interaction with our staff, click here to tell us about it. 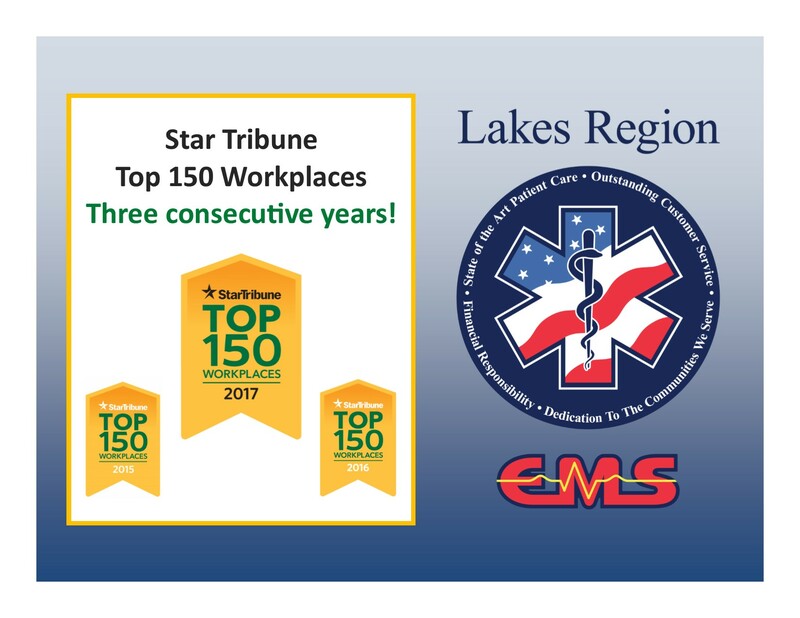 Lakes Region EMS is an Advanced Life Support ambulance service. Did you receive one of our Customer Satisfaction Survey Cards? "These young men are what I call Americas finest"
"I felt cared for and respected for my entire transport"
"Would rate them 5 Star"
"I would be proud to call them sons."